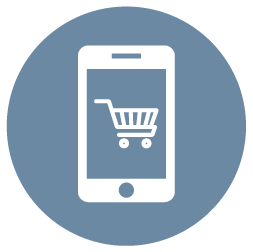 Retail and Ecommerce solutions live and die by effective analysis of offline and online metrics. Data visualizations can help make more effective business decisions and can impress your clients by showcasing how your solution makes significant impact on the bottomline. When a fraction of percentage in movement on credit card failure can result in millions in losses or gains – its imperative to get a clear picture so the whole organization is onboard. This is where Frame can help. If you Improve Metrics then Show it – Do not burry your business metrics improvements in spreadsheets. Subtle Improvements have a Big Impact – Visually tease out the exponential impact on profits with slight metrics adjustments. Manual Spreadsheet Presentations are Clunky – Its more efficient and effective to impress your clients with a dynamic data-visualization. Retail and Ecommerce is Not Seen as Innovative – The high stakes and highly competitive retail and ecommerce marketplace is rife with bottom-line driven innovation that needs visual explanation. 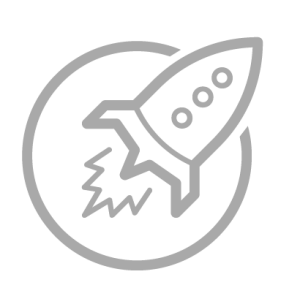 Logistical Efficiencies need to be Showcased – process pictograms will highlight the point and value of your innovation. 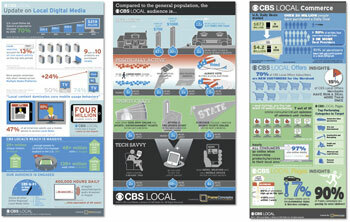 CBS Digital has impressive ecommerce metrics. The problem is that during their annual ad week trade show, when the big brands are looking to direct their online spend they think CBS TV and Radio. 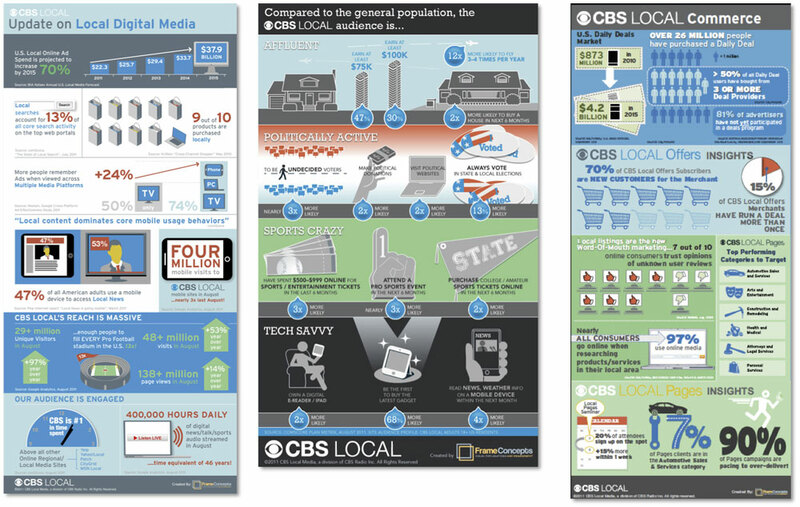 CBS Digital enlisted Frame Concepts to bring their impressive ecommerce metrics typically buried in spreadsheets to the forefront with a three-day infographic series. CBS Digital got noticed. 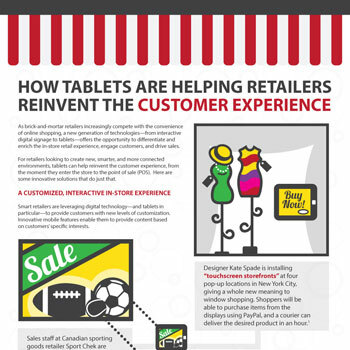 A provocative visual journey literally showing how tablets are having a dramatic impact on the customer experience. While infographics excel as making the conceptual benefits visually tangible, in this case the physicality of the tablet helped drive the visual story. 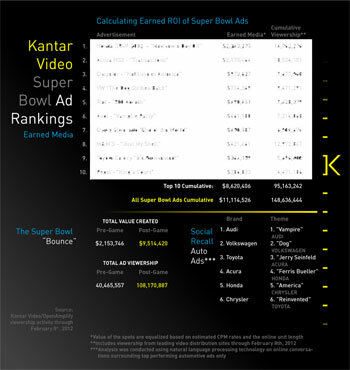 While all of us marvel at the amount retailers will spend on Superbowl 1 minute ads, we suspect behind the seemingly exorbitant spend that it translates in numbers. 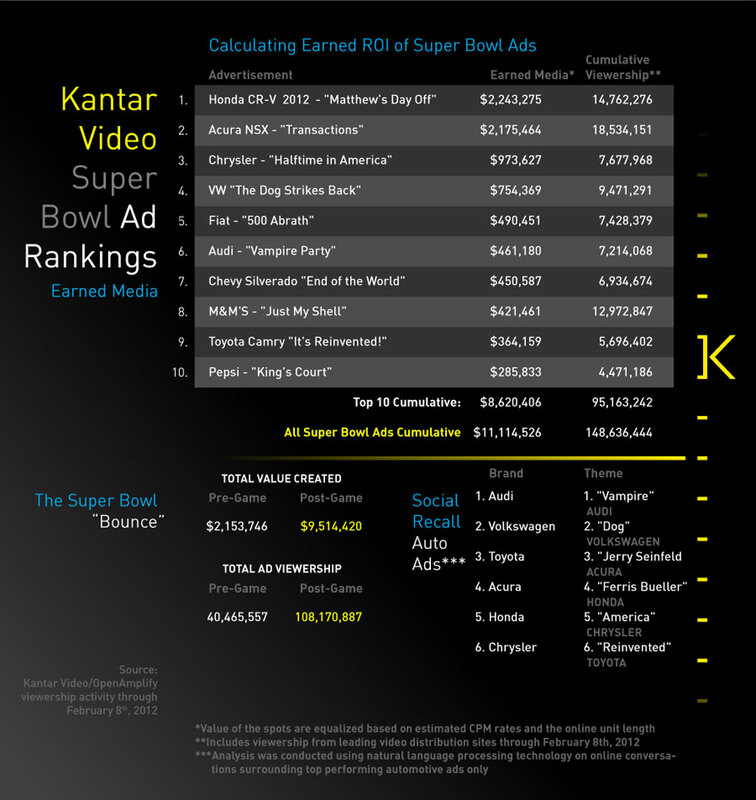 Kantar Video took this intuition one steps further and showed how the social channels surrounding the television ads are having a big impact on brand awareness and recall which of course will translate at the cash register.